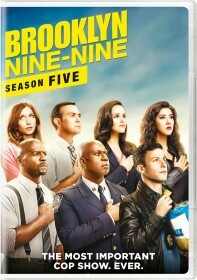 FOX has released the synopsis for the April 1 episode of Brooklyn Nine-Nine, "The Box". Sterling K. Brown (This Is Us) guest stars in the episode. Jake embarks on an all-night long interrogation in order to elicit a confession out of a suspect (guest star Sterling K. Brown). But when Captain Holt skips the opera in order to stay back and help, the two cops clash over how to get him to talk in the all-new "The Box" episode of BROOKLYN NINE-NINE airing Sunday, April 1 (8:30-9:00 PM ET/PT) on FOX. Jake embarks on an all-night long interrogation in order to elicit a confession out of a suspect (guest star Sterling K. Brown). But when Captain Holt skips the opera in order to stay back and help, the two cops clash over how to get him to talk.